← LAOH DIVISION 11, NEW Meeting Place!!! Suddenly on Monday, April 30, 2012. Beloved wife of Jack Haggerty; loving mother of Maureen Kennedy (Andrew Smith) and Katie Kennedy- Pancake (Dan); cherished grandmother of Emma, Sarah, and Kaci; beloved sister of Peggy Cooney (Bob), Martina Allison (Fred), Patrick Madigan (Connie), Michael Madigan (Kathy), and Marty Madigan (Debbie); also survived by many nieces, nephews, cousins, and loving friends. 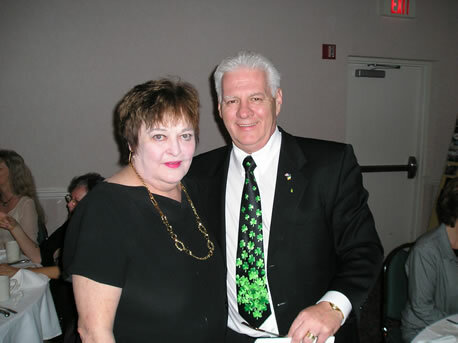 Mary was a graduate of St. Paul Cathedral High School, a retired employee of Bell Telephone after 32 years, a member of the Ladies Ancient Order of Hibernians Division Eleven for 36 years, and a former “Miss Smiling Irish Eyes.” Mary devoted her life to her family and serving the Irish community of Pittsburgh. She will be greatly missed by all who knew her. Friends will be received at JOHN A. FREYVOGEL SONS, INC., 4900 Centre Avenue at Devonshire Street (www.freyvogelfuneralhome .com) on Thursday and Friday, 4-8 p.m. Funeral Saturday, Mass of Christian Burial St. Paul Cathedral 10:30 a.m.